Fabulous multi fiber kit combines a wonderful skein of merino cloud from Artyarns and a skein of Silk Mohair Glitter for this fabulous shawl. 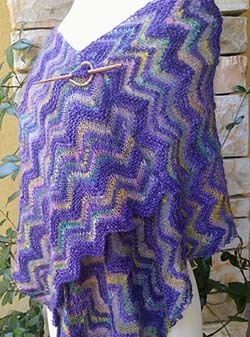 This kit includes patterns for this shawl, plus the CHAIN LINKS SHAWL. Enjoy luxury fiber from Artyarns and learn new knitting techniques to boot! 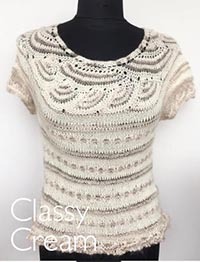 SHOWN ABOVE IN CLASSY CREAM! Newly released - Chain Link Top! 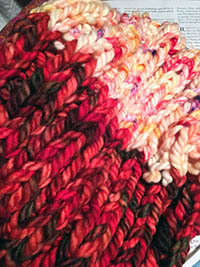 KIT USED: This Knitalong uses one DRAMA QUEEN kit. NEEDLES NEEDED: KNIT | US5 - suggested size only, works well on all sizes of needles depending on effect desired.